Saturday again, and as mentioned the team took a bus to two churches. One church meets in a loft in the village of Dologhat the other is about 20mins further, way high up in the mountains at Sangachok. Sangachok is the home of our guesthouse mumma, Namuna. 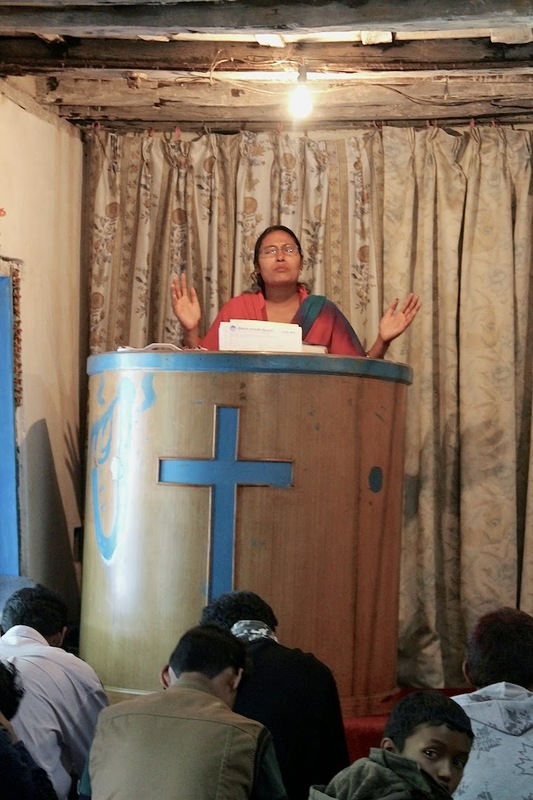 At church one group met her mother, father and younger brother, Kumar the church pastor. This church meets under a building below street level. As we left the capitol on our way to the village churches we saw thousands of people, the armed forces, police and community groups lining the river bank for miles in an effort to clean up the river that runs through Kathmandu by pick up rubbish. Clean up the river day. Kathmandu. 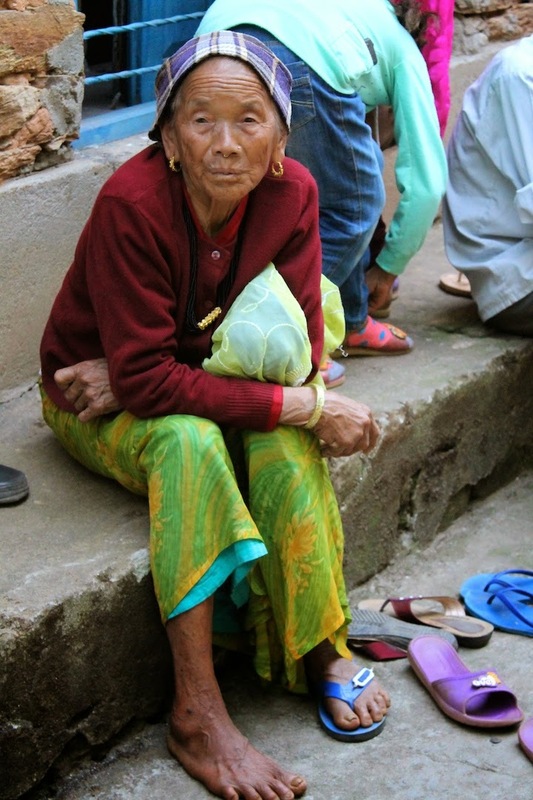 Elderly lady we met after church. While we visited the area we were able to walk up to the site for the new training centre under construction. At the same site a house is being built for long term workers Ian and Leanne who will oversee the project and then establish the training centre. On the way to Buckley's Palace. As you approach the block. 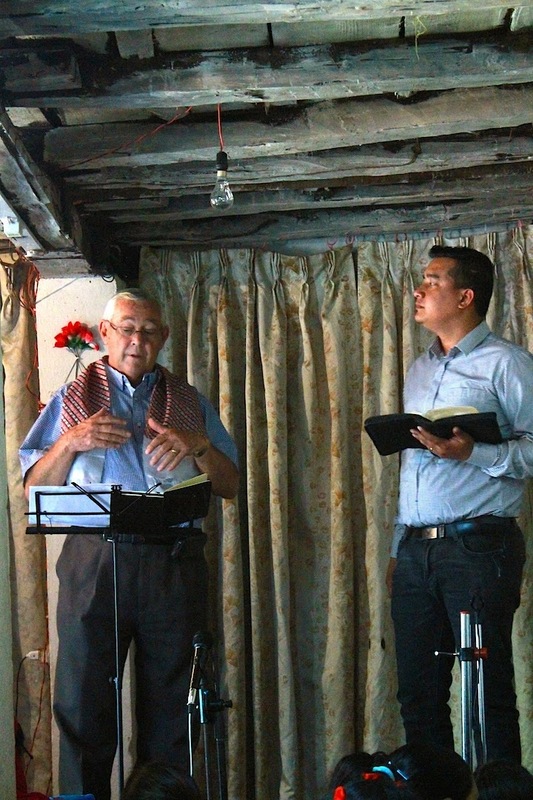 In Dololghat team member Gordon was invited to preach while at Sangachok team member Poppy spoke. Both men followed on with Pastor Raju's current theme on relationships. These messages were readily received by the congregations who enjoyed having Australians in their mix. Learning to speak via a translator was a challenge for both men who did a mighty job. Here are some shots of today. Every inch of ground is used. Here the hills are terraced. More examples of terraced mountain slopes. Little man had big day. One helmut per bike only required. 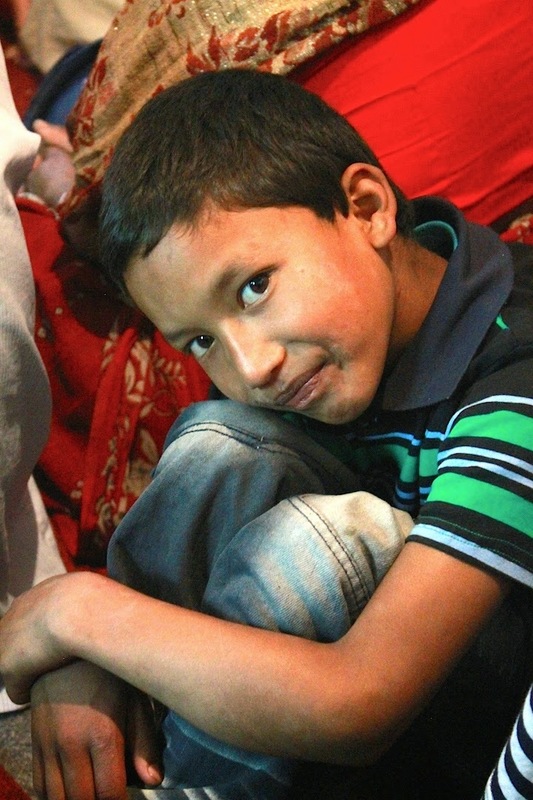 A boy from Namuna's old sunday school class writes us a message. The Hindu god Sheeba overlooking Kathmandu. At an impressive 70m tall this tribute to the god Sheeba is unmissable on the road out of Kathmandu. While Ruth thought she got away with 'licking the spoon' from last nights custard, photographic evidence has come to light suggesting the bowl also got the once over! Pictures don't lie was on the conversation round a bout for a while, no photo shopping here Ruth, me thinks your guilty!! The view as you near the top of the climb to Buckley's Palace. Dololghat is at the left of the bridge. Sangachok is further along to the right and high up in the mountain.